If you haven’t seen the show, you’ve probably heard of it. 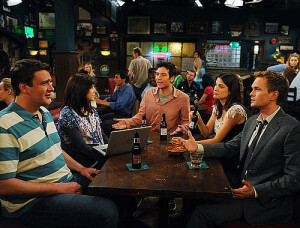 It’s about a group of friends coming to their favorite bar every day and practically living their life there. NOTE: If you are a Millennial, think The Real MacLaren bar in “How I Met Your Mother”. My point being, Bacchus Wine Cellar is my ‘Cheers’ (or MacLaren) and it is to many neighbors of this Bookhill community and if you are willing to make a trip to Georgetown up Wisconsin Avenue, it will become your happy place as well. So many of my friends have asked me why I choose to spend some of my valuable happy hours at a wine store and not at some new cool bar. Well, it’s simple – you can’t find the same energy, quality of beverages and the company like at Bacchus Wine Cellar anywhere. From the best hair stylists in town, gallery owners, restaurateurs to the Kennedy Center conductors, writers, ambassadors and lobbyists – how can you possibly beat that mix…unless of course you are invited to a private party…but you don’t have to be if you just swing by this place. You are cordially invited every week to come by and taste different wines, bourbons and sometimes other spirits. The owner of Bacchus, Bassam, is originally from Syria with a background in antique trade. Fifteen years ago, after selling his restaurant in Virginia, he came across this place in Georgetown and saw a potential for an antique store. However, it wasn’t in the cards, and it couldn’t have turn out any better because this store is “home” to so many people. From wine and bourbon tastings, special events, book signings, impromptu mulled wine hours to just weekly get-togethers, this place is charming and inviting and it will become your ‘Cheers’ or ‘The Real MacLaren’ or whatever, too. Swing by and see for yourself.